In an announcement on Friday, Microsoft dropped the unusually generous news that it is giving away free copies of Windows 10 to anyone who participates in the beta Insider Program for Redmond’s latest OS. Sound a little too good to be true? You bet. Seems pretty clear, then: only users upgrading from Windows 7 or 8 will get a free upgrade, which is in line with Microsoft’s previous announcements. But that’s not all! 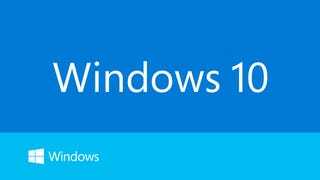 On Twitter this evening, Microsoft exec Gabriel Aul stated in no uncertain terms that anyone with a prerelease build of Windows 10 (with a registered Microsoft Account) would remain activated on the final version of Windows 10. Reading between the lines, it seems that Microsoft might be providing a way for individual users to upgrade, without making the whole process above board. Microsoft makes most of its Windows money off businesses and OEMs, the companies that sell new PCs already running a (licensed, paid-for) version of Windows. The wording in the latest blog post implies that upgrading to full-fat Windows 10 will work; it just won’t be officially sanctioned by Microsoft, meaning that businesses will still have to pony up for the upgrade. We reached out to Microsoft for comment, and will update if anyone manages to clarify this mess.